Februarys budget deal boosted annual federal spending to $4.107 trillion. Is the U.S. government heading for the fiscal cliff? Surprisingly, tax revenue has increased in this year of federal tax cuts and increased spendingfrom $3.315 trillion collected by the tax man to $3.329 trillion. But what matters most, fiscally speaking, is the bottom line. Overall, the U.S. government ran a $779 billion deficit in its 2018 fiscal year, up $113.2 billion from the $665.8 billion deficit in 2017, Independent Institute Research Fellow Craig Eyermann writes at The Beacon. Todays deficits mean tomorrows spending cuts, tax hikes, and/or inflation. For a clearer picture of your fiscal future, see Eyermanns write-up of a new study on the fiscal health of the 50 states. And if you havent done so already, please be sure to see the Government Cost Calculator at MyGovCost.org, and find out what government spending is costing you. Earlier this month, Yale University professor William Nordhaus was named a co-recipient of the Nobel Prize in economics for his pioneering work on modeling the economic effects of climate change. As is often the case, the most newsworthy aspect of the announcement is one that the major news media overlooked: Nordhauss latest version of his model does not support the United Nations current push for aggressive measures to limit global warming, writes Independent Institute Research Fellow Robert P. Murphy in The Beacon. There are other surprises, too. Nordhaus is considered by some but not all in the climate-policy community to be the go-to expert on economic impacts. His own recommendation, however, runs counter to many proposals. Indeed, his work suggests that overly aggressive policies are a cure worse than the disease. By his own calculation, the policies advocated by climate activist and former vice president Al Gore would cost humanity at least $21 trillion in foregone economic output. Thus, Gores proposal would cause seven times as much net damage as the net benefits accruing from Nordhauss theoretical optimal policy, Murphy writes. In his monthly columns for The Daily Caller, Independent Institute Policy Fellow K. Lloyd Billingsley pulls back the veil on some of the biggest overlooked abuses of government power. His latest piece focuses on injustices committed by Californias Agricultural Labor Relations Board. Socialism is the most discredited ideology this side of cannibalism. Its not only a negation of private property in the means of production. At root, its a frontal assault on the Jeffersonian notion that individuals possess a right to pursue their own happiness. Why is anyone a socialist? In a recent piece at Town Hall, Independent Institute Senior Fellow John C. Goodman examines three possibilities. Perhaps socialists are motivated by the belief in the equality of income? 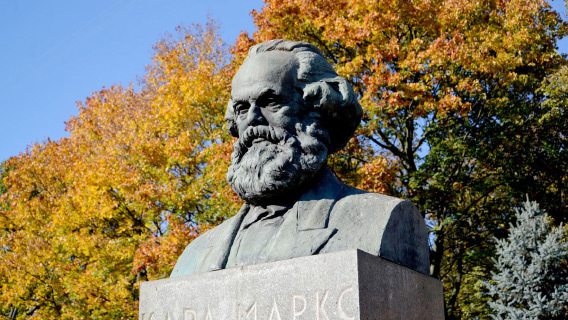 In reality, Mao, Stalin, and a host of lesser socialist rulers have shown where the road to coerced equality leads: poverty and mass murder, Goodman explains. Perhaps socialists are motivated by concern for the plight of workers? In reality, genuine socialist countries are marked by crass exploitation, hardly a workers paradise. Even today, Cuban workers earn a monthly salary of about $25, according to official records. Perhaps socialists think socialism works? In reality, what many hold up as working examples of socialism are liberal welfare states with relatively free markets, not total government control of prices and production. Denmark, for example, ranks above the United States on private-property protections, according to the Fraser Institutes economic-freedom index. Present day Venezuela more closely resembles full-fledged socialismas its declining economy and growing civil unrest suggest. Thus, what motivates socialism, it seems, isnt a positive ideal but a disdain for capitalism and its moral foundation: the tendency for people to do well for themselves by doing good for one another. No matter how true this observation may be, there are many of the left who hate the idea that the best way to help yourself is by meeting the needs of others, Goodman concludes. Why Is Anyone a Socialist?, by John C. Goodman (Townhall, 9/23/18) on Sun.